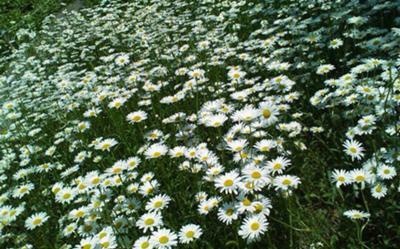 White cosmos flower is one of the most common flowers in S. Korea. From June to October it blooms almost everywhere including riverbanks and roadsides. So in almost everyone’s cherished memories this beautiful flower comes together. And people love to tell their own stories when they see these little ones start popping up. I also have my own story... those adventurous and fun-filled happy days of childhood at my uncle’s, where I used to go every summer vacation and exerienced the change of Mother Nature by storms, rivers, fish, birds, insects… When I had no worries and concerns about anything and when I was a little child. Now I've grown up, my uncle’s grandchild is about my age and those places are packed with factories and apartments. But cosmos still bloom there about the same time every year. I took pictures of these little ones in Taegu Botanical Garden about a year and half ago. The place used to be a garbage dump area. However it is transformed to a botanical garden by the Taegu Metropolitan Office in 2002. And now the garden is among one of those favorite places people love to visit. It has more than 60,000 trees and 130,000 flowers. If you visit here, you will see a beautiful cosmos field waving in the breeze. Thanks for the great opportunity to contribute your beautiful site Glenys. Glenys' Reply: After all the time that I was in Daegu, I never got to the Daegu Botanical Garden. In fact, I didn't even know about it until you told me a few years ago! When I get back to Daegu, that's one of the first places on my list of gardens to visit. I didn't know this, but I just looked it up and cosmos means “harmony or ordered universe” in Greek. One species is called “Chocolate cosmos” and the center actually smells like chocolate! That's fantastic... they're maroon color with a dark red center. Even sounds yummy! Cosmos are a common flower in Korea and North America - they're so beautiful in a field when a breeze blows... just like you describe them. And so pretty in bouquets. C. sulphureus are the yellow, yellow-orange, or orange-red. Those would look fantastic with autumn folliage! We get a lot of pink cosmos in Vancouver even in to the fall. But pink seems strange with all the yellow, orange and brown of autumn. Thanks for your photo and story, U-Yeong. Loved reading it! Wow, what a beautiful white blanket. I hope you are getting some pictures of the spring colours we're seeing lately, and enjoying the warm spring weather! Join in and write your own page! It's easy to do. How? Simply click here to return to pictures of gardens.